MISTER COLLINS Restaurant Debut Tantalizes Taste Buds at One Bal Harbour Resort & Spa. There is a new kid on the block! Good old fashioned, all-American culinary lovers will be set to delighting their palates with a twist of luxury that comes hand in hand with the exceptionally high standards met at the ONE Bal Harbour Resort & Spa location. From the creative hands of Andy Yeager (from the highly reputed Hillstone Restaurant Group that has Houston’s, Bandera, R+D and Gulfstream under their belt) and in partnership with the ONE Bal Harbour Resort owners, Jorge and Juan Arevalo, unveils the recent restaurant opening of MISTER COLLINS. The concept: a menu made daily from scratch with only the freshest ingredients and from the amazing local fare that Florida is blessed. 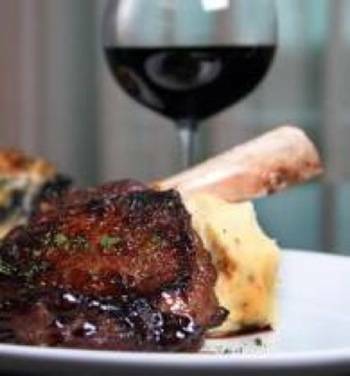 Some of the menu items that are sure to become house specialties are decadent home-style staples such as their Pop’s Pork Chop, well seasoned, simple yet delicious cuts of New York Strip Steaks; true to form Maryland Jumbo Lump Crab Cakes and always the crowd pleaser; and the macaroni and cheese to compliment any of the succulent meal selections. Not forgetting the equally important and extensive wine selection that is heavily influenced from the west coast regions to wash down the meal of your life! The idea of ensuring that everything used in the kitchen is handcrafted, even down to the condiments, is to bring back the traditional flavors of Mom and Pop’s recipes that always leave you wanting more! And of course, who could resist dining at one of Miami’s most luxurious and “beach chic” dining rooms with views of both the Atlantic ocean and the Haulover outlet. MISTER COLLINS will become your home away form home; ehether you are looking for the ideal place to have a power meeting, rest your feet from shopping across the road at the label studded Bal Harbour Shops, or searching for a spot to woo your loved one under a moonlit, palm-fringed sky, Mister Collins has you covered for whatever you need! MISTER COLLINS is open for breakfast, lunch, and dinner seven days a week and is located at 10295 Collins Avenue in Bal Harbour, at the ONE Bal Harbour Resort & Spa. For more information visit this link or call (305)-455-5460.